With summer comes the real work of children: play. The simple act of playing, whether an organized game or spur-of-the-moment frolic, sets free in children the capacity to grow and imagine, the chance to reach for new places and possibilities. While we know so much about the benefits of play in children’s development, for many children in developing countries time for play is all too often an elusive luxury, and the children who already lack so much are deprived of one of the things they need most. And yet, tens of millions of children around the world are regularly deprived of opportunities for play. 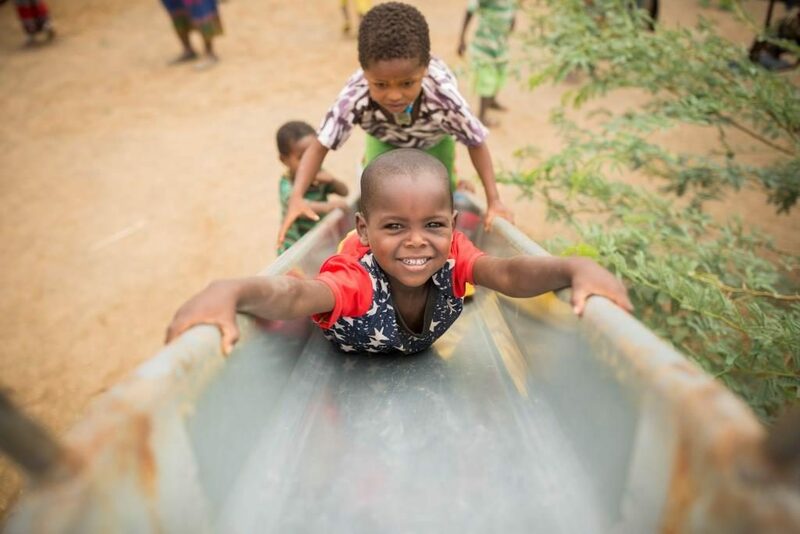 In many developing countries, the time for play is often displaced by the chores and responsibilities that are so familiar to children growing up in poverty. Many children are forced to abandon their education, even at a young age, to tend to the family farm or herd, tote water from far distances, or assume a range of domestic roles that are more traditionally carried out by adults – cooking, laundry, or even day care for their younger siblings. Many children are forced into hazardous jobs that not only present risks to their health and safety, but require long, arduous hours of work every day from early morning until late in the evening. Child-parent relationships, so important to health development, also suffer. Children who must assume a high level of independence at an early age do not have the regular interactions with their parents, contact that enhances their wellbeing and creates valuable inter-generational bonds. As part of ChildFund International’s work in many developing communities around the world, we emphasize the importance of these relationships and help to educate parents about how they can and should be interacting – read: playing – with their children. In some countries, we have a roving caregiver program that sends extension workers into the home to teach parents basic parenting skills but also the different ways that they can play with their children. I recall a mother in Guatemala boasting about the progress she was seeing in her son as a result of her playing with him. She made a point of contrasting his superior motor skills to those of her older children with whom she did not play. Yes, play works, and parents have an indispensable role in making it a part of their children’s routine. As important as play is within children’s everyday lives, it is especially critical during times of crisis. In the aftermath of natural disasters or other large-scale catastrophes – Typhoon Haiyan in the Philippines and the Ebola quarantines in West Africa come to mind – ChildFund regularly sets up “child-centered spaces,” safe zones where we can not only tend to children’s basic health and nutritional needs, but also ensure that they are in an environment that is conducive to play. Part of that play often includes allowing children to express what they have endured through drawing. Their artwork helps give us a window into their wellbeing and the changes in their drawings over time helps us gauge the extent to which they are healing. The late Chilean poet Pablo Neruda observed that “a child who does not play is not a child.” That there is no regular time for play – no time for kids to reap the benefits of games or physical activity or pretend time – is tragic. We have but a single childhood, and denying these children that one time in their lives to grow and develop and simply be children has profound consequences not only for them personally but also for our work to disrupt the cycle of poverty in developing nations.